If there are two things I can't live without, they are, in this order 1.) everything I actually can't live without and 2.) black high heels. Every girl needs a pair, and they're perfect for pretty much any situation. Formal? Check. Audition? Check. Bad day? Double check. Much to my horror, the suede Tahari heels I've been using to fulfill this particular need are nearing the end of their tenure. A pair of shoes can only take so much, you know? Especially if you ever ever ever wear them outside. Especially if they're suede. They are a little sad now, and so I am a little sad now. So now begins the search. I hope it won't be too difficult, but if past experience is any indicator, it will be extremely long and painful. No pain, no gain, right? For now, I leave you with some ideas of where this could be heading. Thanks for commenting and subscribing! I love this post... i've been dying for a pair of suede pumps. Maybe I'll be able to find some on sale now that it's almost spring. I'll be doing a post next week on caring for your shoes, so check back for that! p.s. following you now on GFC (Mary Falkner... it's my twitter account for Stylish3)! Harris! Now you have me shopping for shoes I don't need! I really like my Enzo Angiolini ones because the platform is really comfortable. 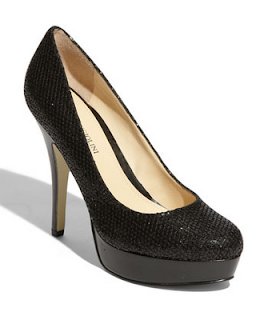 Nordstrom has a shoe clearance with these lovely peep toes http://shop.nordstrom.com/s/enzo-angiolini-merryann-pump/3073137?origin=category&resultback=0. 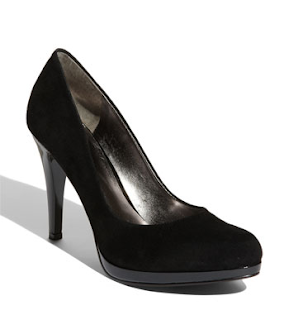 There was a cute pair of Charles David black pumps in a size 6 too! I love the pumps posted. I love shoes and crazy about them. Feel free to follow my blog and let's leave nice comments on our blog. Love those EA pumps!! We've found some good ones at Aldo & Next! !